We are a locally owned family business that has created "WOW" for our customers for over 20 years. Our project managers help manage the project from design through installation and call help make the process very easy. We even have a shop at home service to bring our showroom to your door. Our installers average over 9 years with us. Call us and we can help make your flooring dreams come true! We are a family owned and operated business. 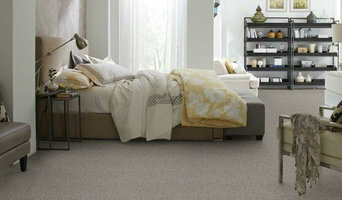 Our goal is to offer the easiest flooring buying experience for you. Our customer service has been trained to answer your questions and help you through what can be a very confusing and frustrating process with so many options in this market. Give us a call and we will help answer all your questions and concerns. We offer factory direct pricing on all flooring surfaces including WPC vinyl flooring, SPC vinyl Flooring, LVT glue down and click vinyl flooring, 12mm Laminates, Pre-Finished Engineered Hardwood (Float, Glue and Nail), Pre-Finished Solid Hardwood, Bamboo, Tile and Carpet. Our showroom features thousands of styles of your favorite flooring surfaces. 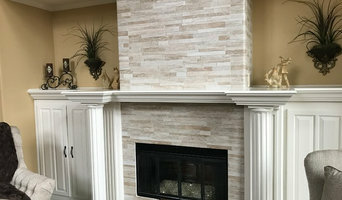 Some of the brands we sell are LW Flooring, Elbrus, Impressions Summit, Texas Traditions, Tropical Flooring, Tecsun Flooring, Regal Hardwood, Pinnacle, Urban Floors, Lawson Flooring, Johnson Flooring, Eleganza Tile, Marazzi Tile, Earth Werks, Unicorn Tile, MS International Granite, Stone and Tile. We aprreciate you stopping by our website today and for making us your favorite flooring supplier of first quality flooring. No seconds, no gimmicks! We are a ONE STOP SHOP for all your flooring needs. We offer FREE ESTIMATES. We ship NATIONWIDE. NO SALES TAX OUTSIDE OF TEXAS. Conveniently located at 2241 E Loop 820 N, Fort Worth, TX 76118. Esmaili Rugs and Antiques, Inc. Since 1978, Behnam Rugs has carried an unbelievable selection of handmade rugs. We carry traditional, transitional, and modern rugs in our selection- everything from one-of-a-kind masterpieces to stylish and trendy modern rugs. Our goal is to have something for every style and budget. Generations of expertise, knowledge, and care have made us rug experts, and we will work with you to find the rug of your dreams. Custom Hand Knotted Rugs: Range From $5,500 to $30,000 With Prices Varying on Factors Such as Rug Material/Size | Custom Broadloom Rugs: Range From $1,500 to $5,500 With Prices Varying on Factors Such as Rug Material/Size | One of a Kind Rugs: Range From $1,500 to $100,000 With Prices Varying on Factors Such as Rug Material, Size, Age, Etc. | Rug Washing and Restoration: Services Begin at $500 for Small to Medium Rugs With Price Increases Due to Factors Such as Size, Material, Etc. The Tavakolian brothers came to the United States in 1970 to pursue their higher education. Once they completed that journey, the brothers decided to carry on their traditional family business of importing and exporting handmade rugs. They chose Dallas, Texas as their headquarters because of the tremendous growth the area was experiencing. Initially, the brothers directly imported rugs from Iran (Persia). They then expanded their import and manufacturing business to India, China, Pakistan, and Romania due to the wide variety of colors, designs and grades of quality found in these countries. Their goal was, is, and always will be to provide outstanding selection and service to their customers in a true full service rug center. In 1999, Mr. Ben “Behnam” Tavakolian moved one block north on Preston Road, when he designed and built a distinctive Mediterranean-style 15,000 square foot showroom/service center from the ground up. The showroom was designed to utilize as much natural light as possible as it showcases beautiful antique and new rugs from around the world. It is a source to interior designers, architects, and homeowners who have come to appreciate the unparalleled selection. Adjacent to the showroom is the Behnam Rugs state of the art, hand-wash rug cleaning and repair/restoration center. We are open to the public, Monday through Saturday 9AM to 5:30PM. Arsin Rug Gallery is one of the premier professional rug showroom committed to finding the perfect design for our clients. Arsin Rug Gallery specializes in beautifully handcrafted, fine antique, semi-antique, and new rugs. Our mission is to take care of clients with the highest level of customer service to make your buying experience as easy and secure as possible. Our culture started in Tehran’s Famous Grand Bazaar in 1910. The Arsin family has three generations of established reputation in carrying a wide collection of the finest quality rugs in the market. Their grandfather and uncle opened a rug showroom in Tehran's Bazaar in 1910 and the Arsin family has been working in the rug business ever since. James Arsin is a third generation rug showroom owner. Members of the Arsin family have rug showrooms in countries all over the world, including theMiddle East and the United States. In addition to importing a vast variety of unique traditional and modern handwoven rugs, The Arsin family preserved an ever-changing inventory that grew to well over 5,000 rugs and carpets including Persian, Turkish, Oriental and European pieces. We carefully select luxuriously handcrafted rugs from all over the world. We offer a unique experience and an extensive catalog of antique, semi-antique, and the newest modern styles with character, beauty, durability, and high-end quality. Arsin Rug Gallery also features a design studio that allows clients to work with our in-house designer to create the perfect rug for any living space. We offer repairs and hand wash cleaning services with safe and gentle products. Contact us today and let Arsin Rug Gallery transform your room into a stunning space! Establishing the right flooring for your home is not easy. You need to think about maintenance, durability and how the particular flooring will make the room look and feel. 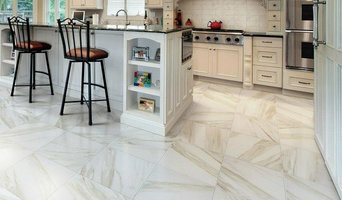 The choices are many from concrete, tile and marble to wood and vinyl. Also, flooring material choices are impacted by the space, carpets and rugs are used in the rooms. Carpet manufacturers and retailers in Plano, TX can offer everything from a catalogue of carpet colours and pile options to carpet accessories like underlay, gripper rods. Carpet dealers will need to measure your home and they will provide you with an estimate for materials and fitting service. They should also be able to help with any repair or carpet cleaning services. 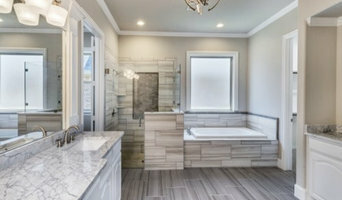 Similarly, a Plano, TX tiler will be able to help you pick a particular type of stone or tile that suits your style and budget. Don’t forget to ask tiling professional to suggest patterns and designs to enhance the appearance of the flooring. A beautiful hardwood floor can be the perfect way to complete a room of any style or design. The right wooden floor specialist in Plano, TX will be able to advise you on the options you have that fit your budget. If the wooden flooring cost exceeds your budget don’t worry you can opt for laminate wooden flooring. If chosen carefully and done properly, fitting laminate flooring in your home can look almost as good as the real thing. Remember a professional flooring installer in Plano, TX is a must to ensure that your new floor fits the space perfectly and remains looking beautiful for years to come. You can also find the perfect carpet or rug retailers and dealers in Plano, TX to help you add the finished to your flooring.